It’s hard to believe that the first day of Spring is just days away! It’s a year a lot of us look forward to since there are a ton of activities and events taking place all over the valley. If you still have some open spots on your social calendar, here are a few of our favorite events coming up to check out. However, you welcome Spring, we hope that you and yours enjoy tons of happiness and good times together! We love this event because it truly embraces two seasons coming together. Bloom is an exciting lineup of events that welcome the Spring season with a snowy spring garden with beautiful flower displays, pop-up sock hops, fresh-picked food events, and interactive movie showings that will delight the whole family from 3-6pm. This is one of those events that we look forward to all year! Really, what is there not to love? It’s a day full of live music, parties, costume contests, food and prizes that’s family friendly and all proceeds benefit all patients at Shaw Cancer Center through enhancements to patient care and by funding our Spirit of Survival program, providing all patients the opportunity to receive free exercise training, nutrition coaching, emotional support, massages, acupuncture, outdoor adventures and much more. And, if you’re not a skier no problem! You don’t have to ski to participate. 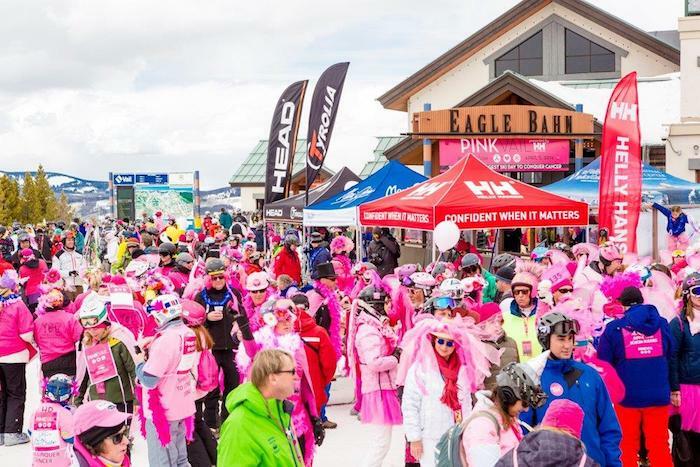 You can find the full calendar of events and more details here: https://www.pinkvail.com/. 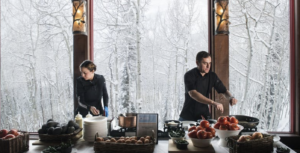 Spring not only brings warmer temps and new life, but also lots of Spring food options, and The Taste of Vail showcases them in an amazing way! This four-day event allows attendees to enjoy Vail Valley’s world-class restaurants, fine wine poured by winemakers and winery owners from top wineries around the globe, along with interactive seminars, auction and dance, the Colorado Lamb Cook-Off, apres ski tasting and the popular mountain top picnic sensory extravaganza at the top of Vail Mountain. Today, we wanted to share the story of a dear friend of ours – David Morgan – and ask for your help! 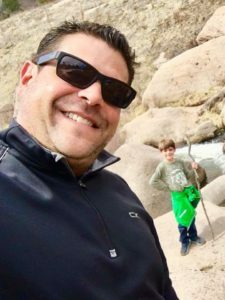 David was diagnosed with stage 4 Esophageal Cancer earlier this month after going to the doctor thinking he was experiencing severe acid reflux. Unfortunately, that wasn’t the case. After being told he had a year and a half to live, he confidently told friends and family, I’m not ready to go yet!” And, this passionate attitude is one of the many things that make David such a special man. He’s an amazing father to his daughter. He’s the uncle his nephew, Tate, who just can’t get enough of him. He’s a caring son who has been the primary caregiver to his 84-year old mom. He’s an amazing friend to all those who know him. He’s a REALTOR who has thoughtfully helped a lot of home buyers and sellers for over 20 years. He’s worked in the restaurant industry serving people’s favorite flavors for too many years to count! 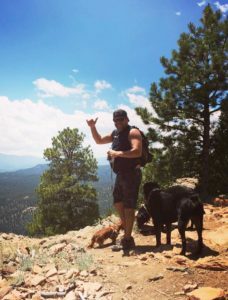 He’s a passionate outdoor enthusiast whose favorite mountain to board is Vail. He’s an awesome uncle who enjoys attending his nephews sporting events, and his nephew always plays a litter harder when uncle D is on the sidelines. He lights up any room that he walks in. This is just the start of what makes David such an extraordinary human being. And, now, after decades of giving love, attention and care to others, he needs our help! Starting soon, David will begin a very aggressive radiation and chemotherapy treatment schedule – radiation five days a week for five weeks and two different types of chemo once a week. The cost of this treatment is very expensive and has forced David to put his home up for sale and to have an estate sale to let go of his life’s belongings. We know David very well, and he’s a fighter, but he and his family also need financial help. He needs our support so that he can focus his energy on fighting his horrible disease! Any amount helps, so please consider donating to help him as he fights for his life to beat cancer! You can help by visiting his Go Fund Me page. On behalf of David, his family and our team….THANK YOU! We hope that you and yours have been enjoying the Winter season far! From now through April it feels like there’s no shortage of local events taking place before the Spring season officially arrives. This four-day event kicks off on Friday, February 15 with the Mountain Legacy Parade commemorating the 10th Mountain Division founders of Vail Mountain. But, the fun doesn’t stop there. Enjoy an 80’s throwback party (complete with live music), a Black Hawk helicopter landing at the top of Avanti Express Lift (#2) or enjoy a short boot-pack hike to the top of Ptarmigan Ridge, followed by a ski down Sun Down bowl. You can find the full schedule and more event details here. This free event returns to Vail Mountain on Monday, February 25 and is guaranteed to inspire riders, skiers and spectators alike. As the premier event of the competitive snowboarding season, the US Open is positioned to showcase the most progressive riding from the world’s top pros in both slopestyle and halfpipe. And, this event offers so much more! There’s a ton of free musical performances, daily après, activities for the kiddos and more! Visit the Burton site for the full schedule. If you’re looking to get your jazz, comedy or film fix, take a look at the events taking place this month in the heart of the Beaver Creek Resort. This 530-seat venue presents a wide-variety of performances perfect for date night, the kiddos and the entire family. Are you up for a challenge that involves 26,226 feet of black and double black diamond terrain? If so, the Talons Challenge is the perfect fit. Come out to Beaver Creek to compete on 14 black and double black diamond runs totaling over 26,000 vertical feet. After you’re done, enjoy the official après party at Talon’s restaurant with complimentary food, drinks and, of course, breathtaking views! There will also be some pretty cool giveaways too. Get the full schedule and register here. We hope that February brings you a ton of happiness no matter where the month takes you! Today, we have a pretty important request for everyone in our community! You may remember us sharing Quintin Lovato’s story. (If you missed it, you can read more here.). Quintin attends Brush Creek and has suffered with Epilepsy since he was four and Tourette’s since the age of six and a half. Due to this illness, he recently stayed at the Children’s Hospital, and while there, Quintin and his family came up with a new Team Q-Man Community Service Project. Currently, at the Children’s Hospital Colorado, each patient room has an XBOX 360, but there aren’t dedicated games for the children. And because there is such a small selection, often children staying at the hospital cannot play games during their stay because of the shortage of games available. 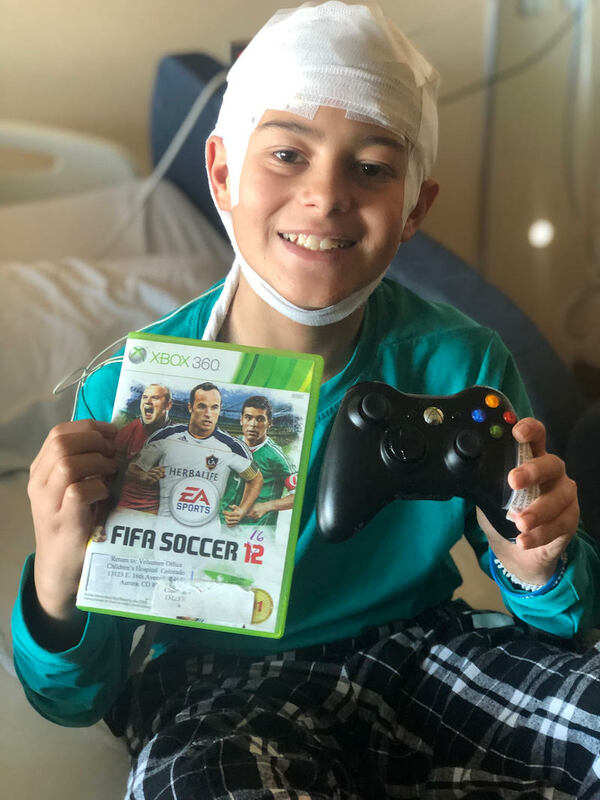 Quintin knows from experience that with each hospital stay he looks forward to the video games because he doesn’t usually get to play them at home due to them being a seizure trigger. This is where we need your help! We want to help Children’s Hospital grow their collection. Please help Quintin collect “rated E” XBOX 360 games and remotes to be donated to Children’s Hospital Colorado at his next appointment. Please make sure all donations are in “the office” by Thursday, February 7, as Quintin will be delivering them at his next appointment on the following Friday. Thank you so much in advance for helping support Quintin! Your contributions will bring happiness to children who are not in the best circumstances and could use some fun and joy in their lives. If you had a New Year’s resolution to get in a bit more exercise? Why not take the free snowshoe tour. Just stop by the Betty Ford Alpine Gardens Education Center from 10am-4pm Monday – Saturday. What’s better than getting your steps in for the day while enjoying the beauty of the Garden paths covered in snow and the alpine environment above treeline. This event takes place through March 30. You can find more details here. If you’re a foodie, this is an event you definitely don’t want to miss out on this event that takes place January 24-27. Form food educational events to celebrity chef cooking demonstrations to time on the hill followed by eloquently prepared meals, there’s something for everyone at this action-packed event. Learn more about the event here. Even though it’s still over a month away, you might want to get this down on your social calendar. 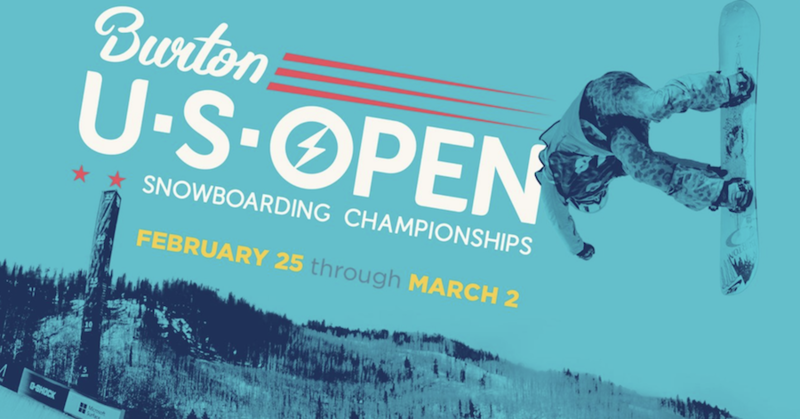 The 37th Annual Burton US Open Snowboarding Championships return to Vail February 25 – March 2, 2019. As always, this event brings a lot of great entertainment, music and positive energy to our community. Here are all the details. Vail: Are You Using Emma? While this isn’t really an event, we think it’s pretty cool! Are you using Emma on the hill? If you haven’t already heard about her and ski any of the Epic mountain properties, you need to check out this article! 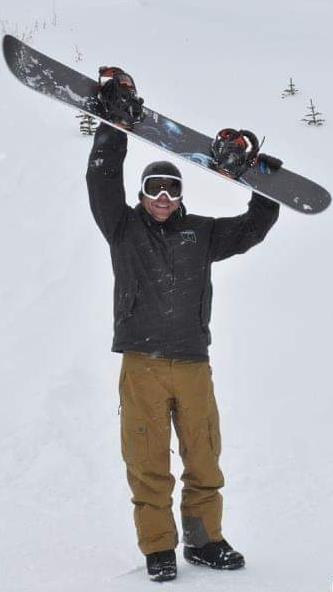 Cheers to Vail Resorts for creating this inventive digital mountain assistant! We hope that whatever you do over the next weeks that you have fun doing it!